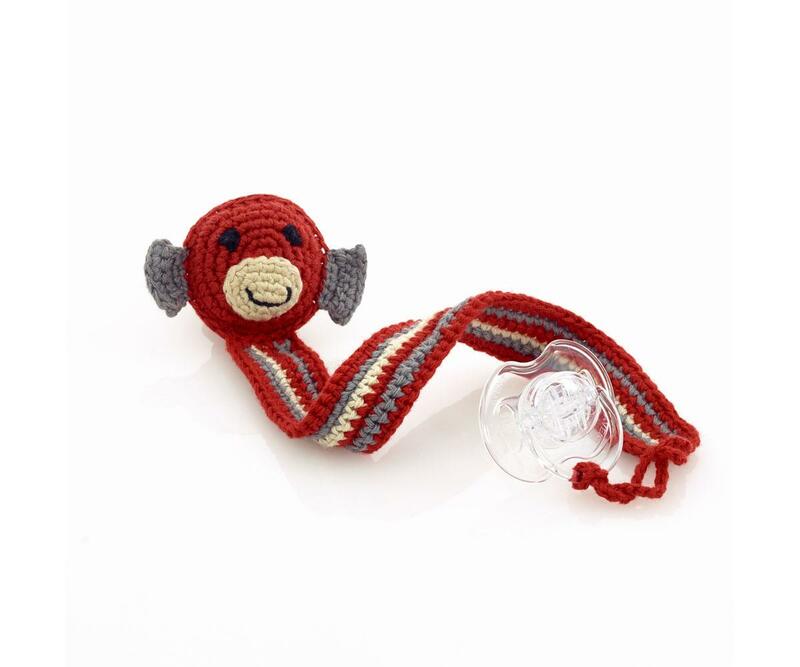 With its cheeky, friendly face, this hand-crochet monkey dummy clip, in vibrant red cotton yarn is a great match for its larger, monkey rattle. Sure to keep your own little monkey entertained and out of mischief. Easy to attach and keep soother clean and within reach. Fair trade and handmade by Pebble.